While I mostly discuss fashion here, I'm just as passionate a shopper when it comes to furnishing and decorating my home. It's just as important to look for quality pieces to invest in for your home as it is your wardrobe. A rug can be one of the key pieces in a room, bringing together colors, adding visual interest and warmth. Considering how difficult it might be to visualize a rug in your space before seeing it in person, and how expensive shipping charges can be for such a bulky item, it is easy to be deterred from making a rug purchase online. Which is why I think RugKnots is on to something brilliant - they sell handmade oriental wool rugs without the 'middle man' to keep prices low. They offer free shipping in the USA and a 30 day return policy, however you do have to cover return costs. Though RugKnots wants to make sure you get the right rug the first time, and to do so they off a free Ask a Designer online service. The process is simple, you take photos of the space in need of a carpet makeover and upload them to the site. Include the dimensions of the room, and even add some detailed photos of your decor. Then RugKnots team of designers will select rugs for your space and return your images to you with their expert choices of rugs embedded in the photos. The process only takes two days, and your handpicked rugs will also come with a promo code for a discount if you decide to make a purchase. The service is free, so if you are currently rug shopping, you've got nothing to lose from trying it out. Here is a before and after image set from RugKnots' site. I wish I could show you my own home, but it is too embarrassingly messy to show to designers or post on the internet. All RugKnots rugs are handmade in Pakistan, the home country of Naheed Mir, the company's founder. With her passion for education and the betterment of children, doing good became a part of the RugKnots business model. Two percent of all rug purchases are distributed between the non-profit charities The Citizens Foundation and Care and Fair, who work to build schools and purchase classroom supplies in socially and economically challenged regions in the world. The children there can gain an education and have a chance to better their lives, when they otherwise would not. Rugknots believes a child's education is the great equalizer for building a better future. This post was written on behalf of RugKnots, but as always, my views and opinions are my own. Those rugs are so beautiful! That is so cool that they offer a designer service! I have never been a rug person. I prefer the clean lines of bare floors, and loathe carpeting (which, of course, I have in most of my home.) 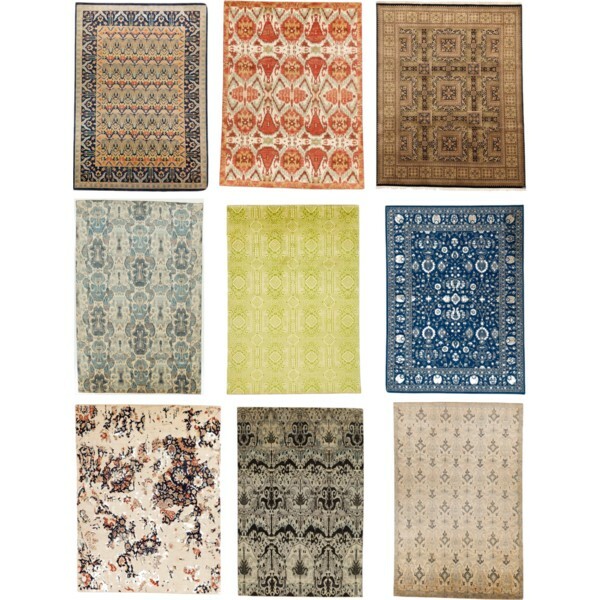 But with that said, I could get very excited about the beautiful rug in the bottom left hand corner of your selection. I reminds me a bit of the way the Neues Museum in Berlin looks now, with parts still beautifully painted but others having fallen away during World War II, leaving only the plaster behind. I am actually in the market for a rug right now! But im looking for a faux animal look! Thanks for sharing! We're considering removing all the carpeting in our house and doing area rugs, so I'm sure this store will come in handy! Thank you for introducing the RugKnots brand to the community. I wanted to provide you with a link to the FREE "Ask A Designer" service. If anyone is interested in seeing a rug in one of their rooms photos. Also, wanted to let your group know we currently are running a special promotional offering with all rugs 50%. This is really a great price for high quality oriental rugs. For more information, you can visit the RugKnots website". I love rugs! That's a great way to try out a rug and see if it looks good in a room or fits. Awesome! Haha as a Persian, I'm partial to Persian rugs but these are really beautiful! I especially love the last one on the second row and the first one on the last row! So lovely that they're also giving back! so pretty! i've become obsessed with rugs... they really frame a space. these are gorgeous. Gorgeous rugs! I love the design service! It is really hard to tell if a rug will look good in a room and such a pain to have to return one if it doesn't work. 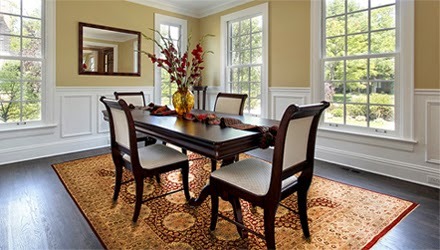 @Jeans and a teacup,rugknots.com provide a return service where you can get a rug delivered at your door step and have 30 days to decide if you like it or return it without any problem. Those rugs are beautiful! And it is wonderful that they support a great cause! ugghhhh rugs. Don't even get me started on rugs. When I get a house, my money is going to be spent mostly on rugs. They are pieces of art that you can walk on. HOW COOL THOUGH. rugs make such a huge difference as far as making a room come together!